I learned of this idea from Lottie in the English department at Bradford Grammar School a couple of weeks ago, where I was lucky enough to spend a couple of days working with their excellent humanities staff. Who was most attentive in today’s lesson? Who worked most effectively in the group task? Whose contribution to discussion was the most interesting? What was the most interesting question raised by a member of the class? What is the most interesting thing I learned in today’s lesson? At the end of the lesson, announce that this has been a lesson involving a ‘Secret Agent’. Ask the rest of the class to anticipate who they think it may have been. Then the ‘Secret Agent’ reveals themselves, and tells the rest of the class what their ‘mission’ was. 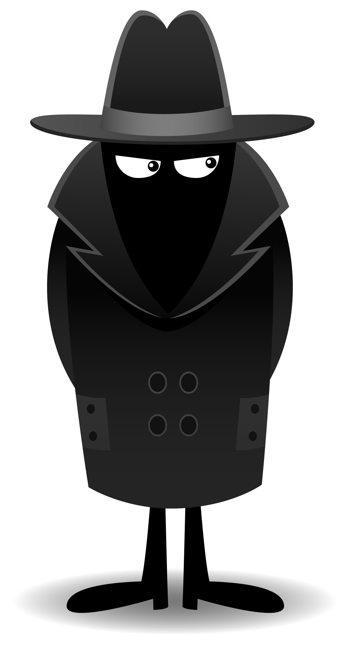 Get the rest of the class to anticipate what they think the answer was before the ‘Secret Agent’ gives their answer. Use the strategy regularly to keep students on their toes and encouraging them to reflect on the purpose and content of the lesson!